When I can’t read books, I enjoy listening to them. I am teaching this quarter at three different campuses, and hence, I am forced to be in the car quite a bit, driving the wonderful expressways of Chicago-land, and/or sitting in the seemingly endless, ubiquitous metro road work. Books on CD are my savior; they are my sanity. Instead of just sitting there swearing at other drivers, I can listen to a good book. During the last seven weeks of the second summer quarter, I have gone through a number of books on CD. I started the quarter listening to Dan Ariely’s Upside of Irrationality. I must admit, I only got about half-way through when I just couldn’t take the recounting of behavioral experiments any longer. I then moved on to Mary Roach’s Gulp: Adventures on the Alimentary Canal. Roach’s popular science book is filled with fascinating, sometimes disturbing, sometimes hilarious anecdotes about saliva, mastication, the stomach, digestion and much more. I didn’t finish this one either, since there is only so much heavy description I could take. 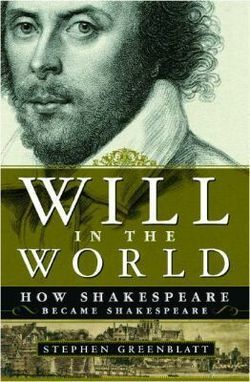 I then moved on to Stephen Greenblatt’s Will in the World: How Shakespeare Became Shakespeare. Greenblatt is one of the world’s preeminent Shakespeare scholars, and this book illustrated why. It is a biographical and social historical literary critique of the bard and his times. Strangely, I attempted to read this book a couple years ago, but just couldn’t get into it. Listening to it was much more enjoyable. The quarter is now winding down. For my last 4 weeks of travel, I decided to go for something a bit different. 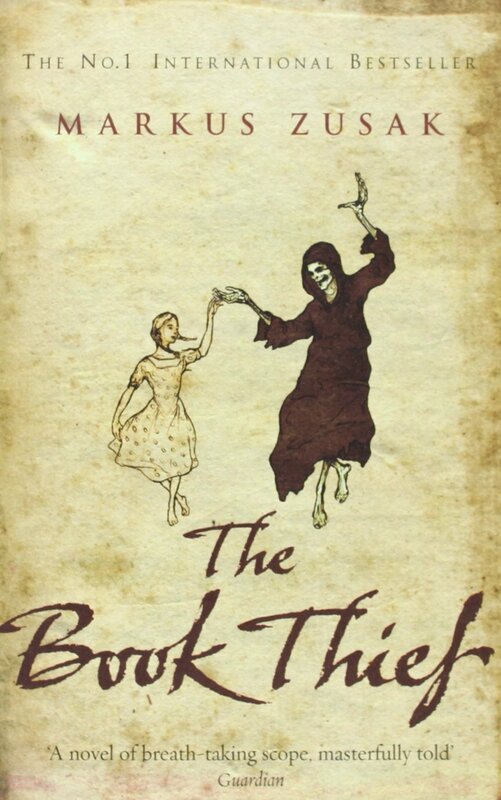 Browsing RMU library’s selection of audiobooks, I came upon Markus Zusak’s 2006 best-selling novel The Book Thief, a fictional account of a young German girl struggling to survive during the Nazi dictatorship. I picked it up, and checked it out. I was not ignorant of this novel. In fact, I actually own a paperback copy of the work, and I have thought many times about reading it. But, I have never gotten around to picking the book up. Honestly, I figured listening to the book may be the best thing to do, since there is no guarantee I would ever actually read the book. You see, novels are usually not at the top of my reading list. I’m a non-fiction reader first and foremost. I would say for every 20 books I read, 1 is a work of fiction. I read a hand-full of novels a year. Would Zusak’s work ever make the list? There were a couple reasons to be dubious. First, Zusak’s novel is not located with my other books. Most of my books are around me at all times. They are in my living room, in my dining room and at my desk at work. I am constantly looking them over. Often I will base my reading decision upon what book catches my eye. The Book Thief has never caught my eye. It is not in my living room; or my kitchen; or at my desk. It is in my 7 year old daughter’s room. If you did not know already, The Book Thief is considered, and labelled, as a ‘Children’s book.’ It is ‘adolescent literature.’ And this is the second reason I probably would not be reading the book any time soon. I am not a kid (surprise!). I honestly don’t really want to read a ‘children’s book’ on my free-time, as I read kid’s books all the time with my daughters. I need something more serious; more grown up; more….adult. However, I had always heard that The Book Thief was wonderful. I had read reviews that it was a powerful, serious novel. The back cover of the book described a plot that did not sound very childish. So, I figured, if I am not ever going to read it, I might as well give it a listen. A reminder: Don’t judge a book by it’s cover….or it’s genre. The verdict? 4 CDs through, 9 more to go (please no spoilers) and I am hooked. It is a wonderful novel. Extremely well-written and psychologically complex. The book rings true, both historically and emotionally. I highly recommend it. But, I am left with one question: Why is this considered a ‘children’s book’? The book is not light or pleasant. Zusak doesn’t whitewash disturbing facts; he does a wonderful job portraying human behavior during the darkest of times. It is readable, but the prose is by no means childish or simplistic. Why is this ‘for kids’? Is it simply because the main character is a 9 year old girl, and that we, as readers, are expected to enter her mental world? Do publishers believe that adults don’t remember what it is like to be a child, with all the fun and terror that goes along with it? Do publishers assume that children will only want to read about children, and adults only want to read about adults? Since I am not a publisher of books, I can’t say. But, as a reader of books, I can say that The Book Thief should be on your, or your children’s, bookshelf. I spent my last day of my trip to the Pacific Northwest on the water. While the sun shines too brightly for my sensitive eyes, sunlight on the water is perfectly soothing. Whether swimming or boating, I relish every opportunity to enjoy water. Family lore suggests that my great-great grandfather worked his way over to the United States from Germany as a cabin boy on a ship bound for New Orleans. I expect that tale is only slightly true, but as far as adventure goes, even in the 21st century, being aboard a ship in a wide expanse of blue overflows with primal joy. I booked a trip on the Victoria Clipper III, which sailed from Seattle to the San Juan Islands followed by a wildlife viewing excursion, with the intention of seeing orcas in the wild. Happily, I did just that. 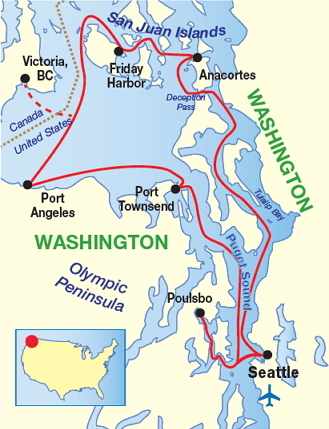 I left Seattle harbor at 7:45 am on July 28th, and spent a full twelve hours travelling northwest in the Puget Sound, through Deception Pass to the San Juan Islands off the coast of Washington, and then further north to international waters near Vancouver. I followed the recommendation of a friend and I did not attempt to take breathtaking pictures; instead, I watched. This watching was rewarded with the initial orca spotting. Four family members of K pod were having lunch in the waters near a lighthouse. After a few minutes of joy (and relief that the trip was already a success), the captain headed to another location frequented by orcas. Here we found five members of J pod frolicking in the water. This group included an astonishing 103-year old matriarch named “Granny” who apparently has some energetic grandsons. Her offspring delighted us all with playful jumps and stunts: spy-hopping, cartwheels, tail flapping, and breaching. A thrill in every way. The search for orcas successful, our boat headed back toward Friday Harbor for a lunch break, stopping along the way to observe the utterly adorable wiggling and graceful swimming of sea otter moms and pups that populated rocky outcroppings in the water. Thanks to the on-board nature guide, we also spotted bald eagles! Mountains in the distance framed each exciting discovery. 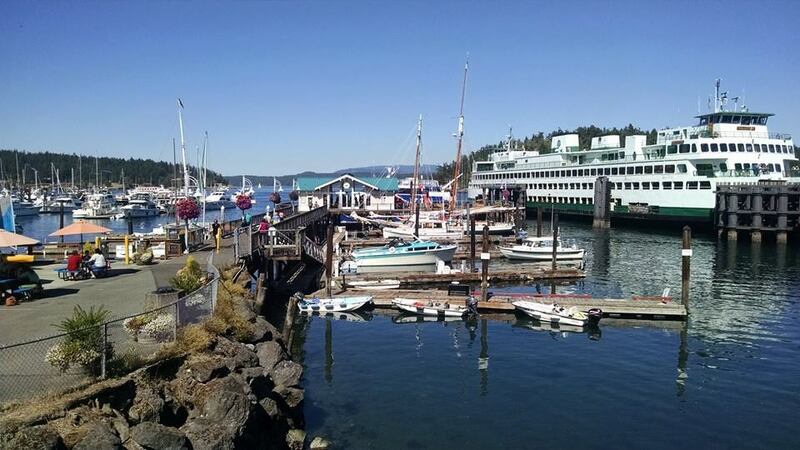 At Friday Harbor, we all dashed for lunch. The tourist trap restaurants filled up quickly, so I went a bit further up the main road to the quaint Herb’s Tavern (the oldest tavern in town) where I had a beer from Alaskan brewing and the rightfully recommended fish and chips. The day was entirely too beautiful to remain indoors, so I walked to an ice cream shop, aptly named The Sweet Retreat, for a generous scoop of salted caramel. Back at the pier, I looked out at the boats and the water to drink in the joy of feeling so wonderfully far from home. How beautiful to have enjoyed such a tremendously full day in a region of spectacular beauty; how marvelous that the natural world is a treasure we all can share. I took the Amtrak Cascades service from Portland to Seattle, a lovely trip. 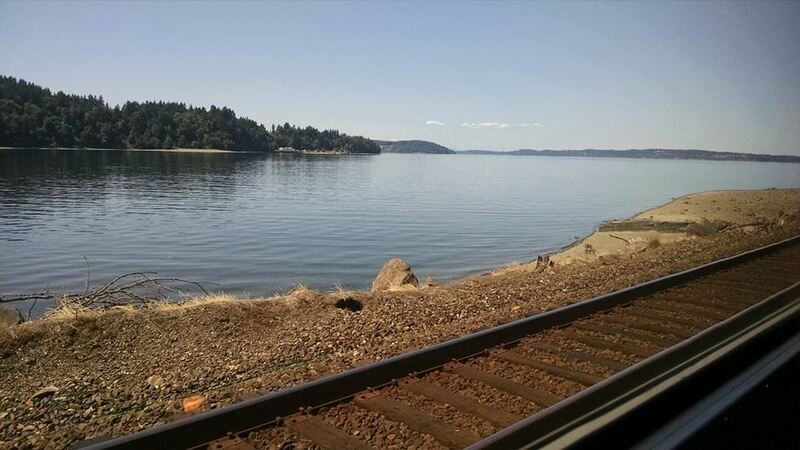 The scenery grew increasingly beautiful as the train traveled north, eventually hugging the shore of Puget Sound for forty miles until pulling in at the station in Seattle. Train travel was central to the development and expansion of the west, and I was pleased to travel in the same way visitors to the Pacific Northwest have done since the late 19th century. I boarded the train at Portland’s Union station, which looks much like it did when it opened in 1896. Upon arriving in Seattle, I had to hustle to drop my bags and change for the Sea Fair Torchlight parade, a yearly spectacle celebrating the cultures of the Pacific Northwest, sponsored by Alaskan Airlines. 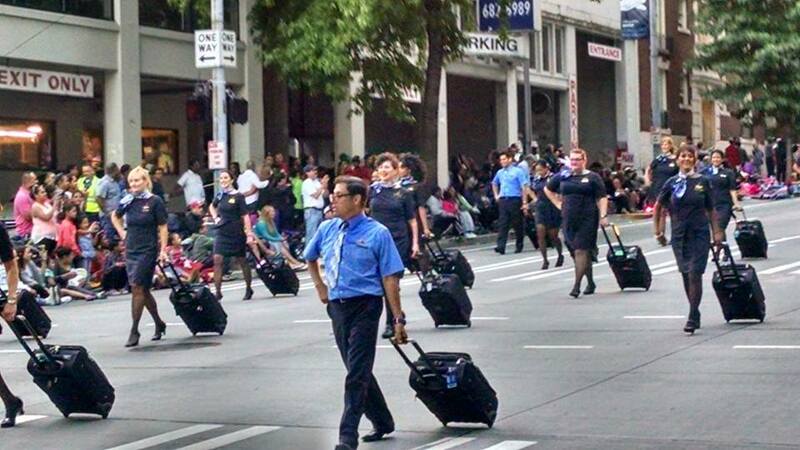 The sponsorship results in a terrific group of dancing flight attendants sashaying down Fourth Avenue, pulling their ubiquitous roll-aboard luggage behind them. Additional featured performers included countless marching bands, a considerable military presence (thanks to local bases) and two bands of bagpipes. A wide variety of ethnicities was represented with flags and traditional costumes, Chinese, Tibetan, and Philippine being among the most memorable. Since the parade takes place at night, many of the floats are gaudily illuminated, a rainbow of wackiness that included a float sponsored by the local utility company sporting an enormous faucet and a giant mock toilet strung with twinkle lights. 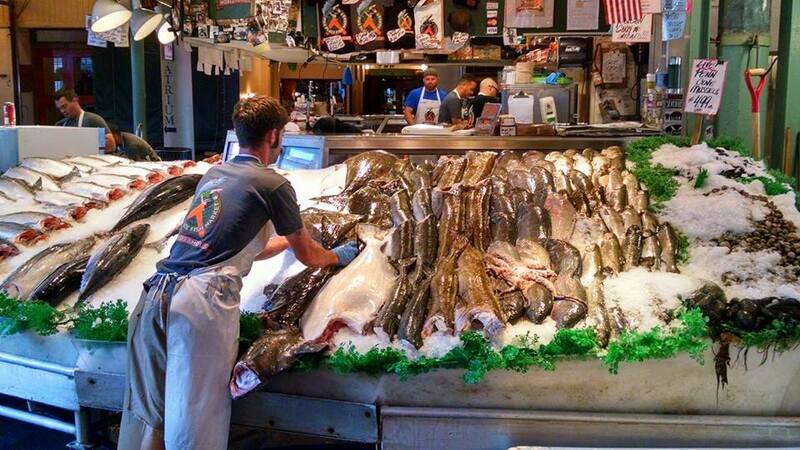 After the family-friendly fun of the parade, I woke the next morning with the sun, eager to visit Pike Place market. Urged to go early to avoid the crowds, I may have arrived prematurely, at 8:00am on Sunday morning, as half of the stalls were not yet open, and even the famous fish mongers were still in the process of stocking the displays with crushed ice and the daily catch. Undeterred, I sought out the Three Girls Bakery, and wisely asked for a recommendation. I trusted the man behind the counter, and his suggestion, pistachio cranberry shortbread cookie, far surpassed the pain au chocolat I had selected. The rest of my purchases included remarkably fresh fruit. From the market, I meandered to the Olympic Sculpture garden, a positively beautiful garden overlooking extraordinary views of the water, with Mount Rainer visible in the distance. The garden features striking sculptures along a sloping gravel path. “Mary’s Invitation—A Place to Regard Beauty” seeks to reinforce the connection between the art and the audience. The whole space resonates with this intention: chairs are available throughout, inviting even the most hurried sightseer to stay a while. 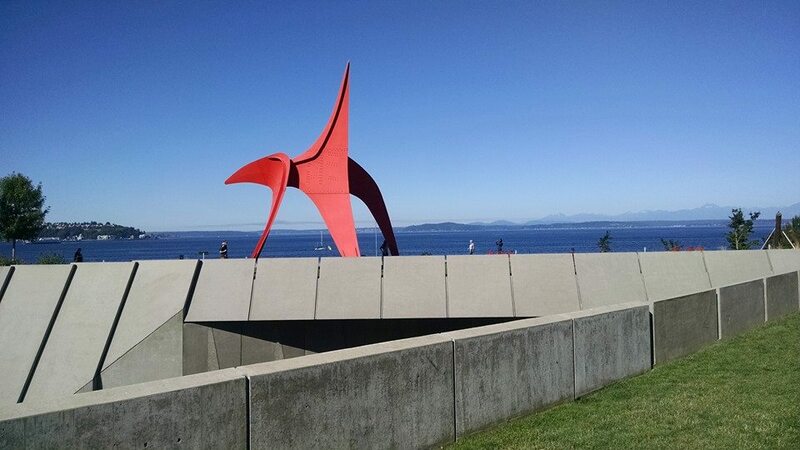 I found a chair near Alexander Calder’s “Eagle” and sat, looking out into the endless blue. My Seattle sightseeing thus accomplished, I returned to the apartment where I was staying in the trendy Capitol Hill area. Here, I had plans to spend the afternoon with former students, two young men who relocated to Seattle after graduating from Columbia College Chicago just a few years ago. The day was an absolutely beauty, so the three of us and their significant others spent the afternoon drinking Rainier beer on a back patio of a bar aptly named The Lookout; the Space Needle, Lake Union, and Puget Sound were visible through the surrounding trees. One of the truly fantastic aspects of my life is the quality of people whom I am fortunate enough to call my friends. Chas and Chris are bright young men, driven and creative, loving and good. They are doing so well! Chris’ first feature-length film, In Bloom garnered excellent reviews; Chas is also busy working artist, currently designing for Sur la Table. Spending a few hours in their good company made my trip immeasurably more worthwhile. A Century Destroyed: The First World War, Israel and Palestine. 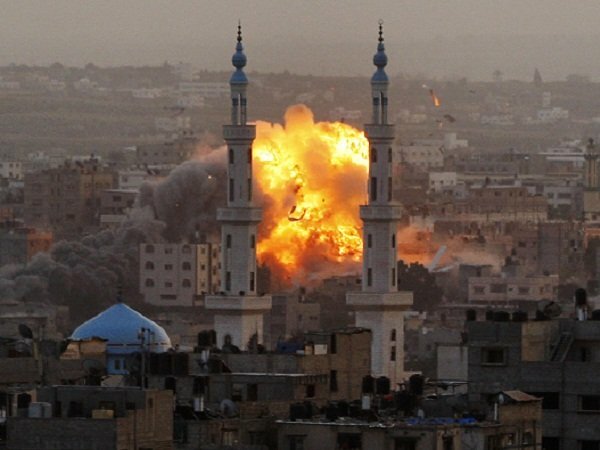 When we hear about violence between the Israelis and Palestinians marring the Middle East, it is common to view the situation as ahistorical, or even timeless. The news media sometimes plays this game by painting the troubles of the Holy Land as having ancient roots, as though this fight has been going on for 3000 years. Though this may seem to be the case to outside observers, this is most definitely a false belief. The seemingly unending disputes in the region stem from the very recent past (relative to the history of the land where the fighting is taking place.) To understand the crisis, we need to cover a century’s time; a drop in the chronological bucket for the ancient world of Palestine. To grasp the complex situation, we could investigate many formative years of the crisis: 1936-1939, 1948, 1967, 1973, etc. But, to get to the heart of the matter, we must look at the year 1917, and the war that was changing the world at that time. In 1917, the First World War was entering it’s 4th year. Millions had already died on battlefronts all over the globe, and the carnage did not seem to be abating. In February of that year, Revolution struck Russia, the Czar fell, and a provisional reform government gained power, vowing to continue the fight against Germany. France still had German troops on her soil, and was facing mutiny from disaffected frontline troops who had been sent into the meat-grinder one too many times. Britain was feeling the strain of the Kaiser’s U-Boat attacks, and was concerned that their new ally America would not get troops over to Europe quick enough to help in the war effort. Nonetheless, these struggles did not stop British and French policymakers from planning a new postwar order. In 1916, the two nations agreed upon dividing Mideast Ottoman holdings between themselves, with, of course, the assumption that the war was to be won. Such plans would be moot if Germany won the war. Victory was precarious, but oh so colonially valuable; the beginning of 1917 was the ‘now or never’ moment for the Brits. As the French were slowly crumbling, the little Island nation needed to assure themselves of allies. Ironically, it would be an anti-Semitic stereotype that would influence British policymakers in their quest for war assistance. Many within the halls of power in London held old, quite often offensive, and generally apocryphal notions that the Jewish communities of Russia and the United States had disproportionate power and influence. Hence, London was looking for a way to please these mythical Jews in the hope that their supposed power would ensure Russian continuation in the war, and absolute American military and financial involvement. Of course, for the Zionist movement, this letter embodied opportunity and hope. The letter seemed to grant the future promise of a national state. 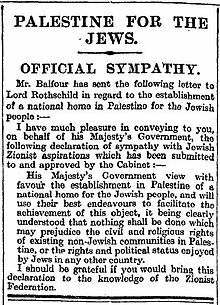 However, for the Arabs already living in Palestine, who the British understood as being a backward, controllable people, this letter would quickly be interpreted as a imperialistic tragedy. ‘The rightful owners of Palestine’: Can any words be more loaded? 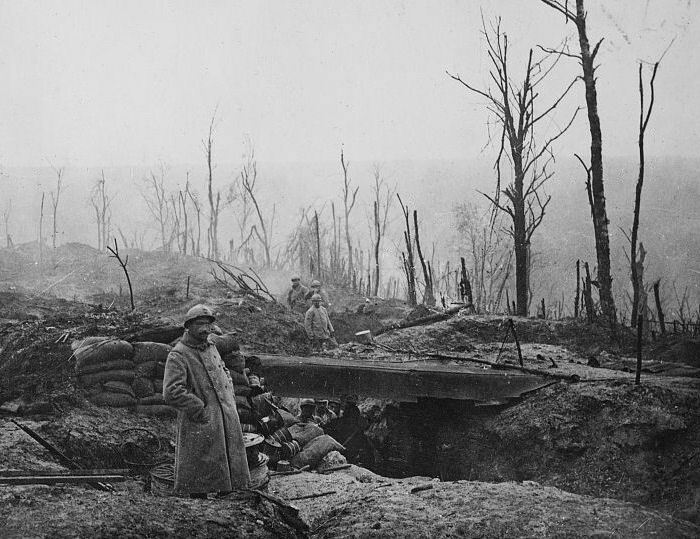 One hundred years on, the decisions made for the sake of ending the “War to End All Wars” continues to spark bloody conflicts. I’m back from my week of adventures in the Pacific Northwest, eager to reflect upon the many joys of an incredible vacation. Portland, Oregon was the first stop on my journey. More than a town than a city, Portland is incredibly walkable (aside from the steep hills on the west side of the Willamette River), and the bus system offered service everywhere I wished to visit, including the charming home in Buckman where I stayed with locals as part of Air B & B, a home sharing system that benefits homeowners and travelers alike. 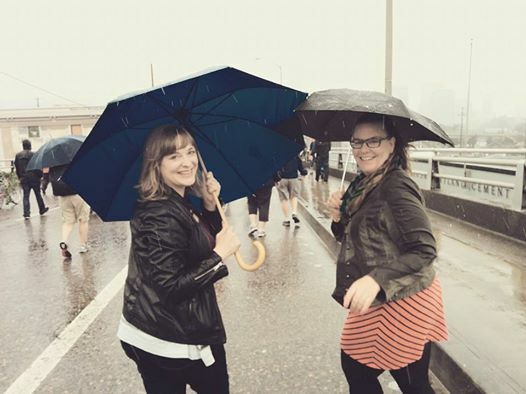 I chose to start my vacation in Portland largely to attend the Oregon Brewers Fest, specifically to take part in the opening day parade across the Hawthorne Bridge to the festival grounds in Tom McCall Park. The day of the parade was soggy and cold, a phenomenon described locally as “Portland gray,” which offered an important insight to Portland’s weather the remaining nine months of the year. Despite the weather, the Brew Fest parade and festival did not disappoint. I’m easily pleased by a brass band and a good walk, which was how this great day began. I was joined by my friend, Sarah, a Portland transplant since 2010. With 188 beers to choose from, the $1.00 per 3-ounce taste was a perfect way to try as many as possible; I believe we sampled sixteen beers between the two of us (the remarks added to the “notes” section of my festival guide are strangely unclear). Sarah and I spent the day happily under tents and umbrellas, relishing a “to do” list that listed only one item: drink beer. Before my vacation, I read about the area, finding the extraordinarily insightful The Good Rain: Across Time and Terrain in the Pacific Northwest by Timothy Egan. And, while visiting Powell’s “city of books,” a local mecca for devoted readers, I bought another Egan, Short Nights of the Shadow Catcher: The Epic Life and Immortal Photographs of Edward Curtis, an amazing book I’d highly recommend. 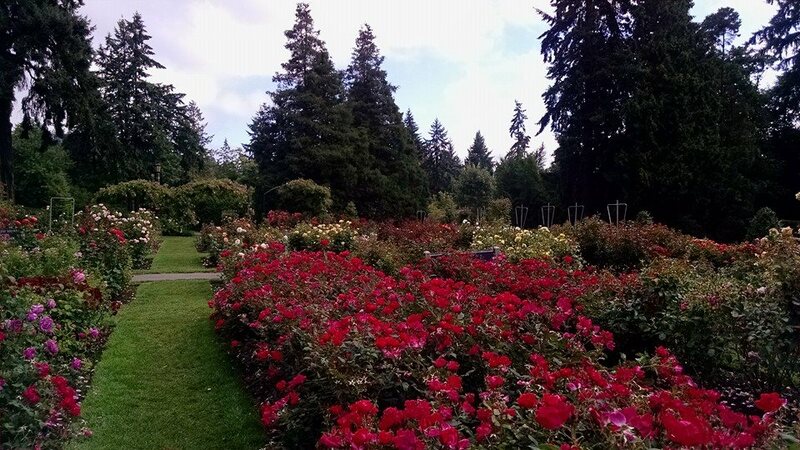 The International Rose Test garden shines as a stunning part of the expansive Washington Park perched above the city. My early morning visit resulted in a fantastic mixture of growing sunlight and roses in every hue. The terraced layout makes the most of the effusion of blossoms, resulting in roses blooming in every direction. 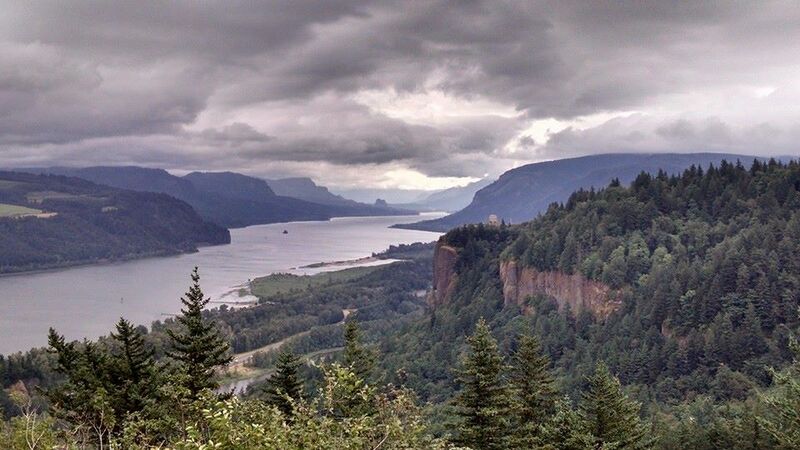 For the remainder of my stay in Portland, I explored the surrounding countryside, the true draw of the region. I went on an excursion to The Columbia River Gorge, with stops at the lovely Latourell and majestic Multnomah Falls, culminating in a stop at the Timberline Lodge on Mount Hood. 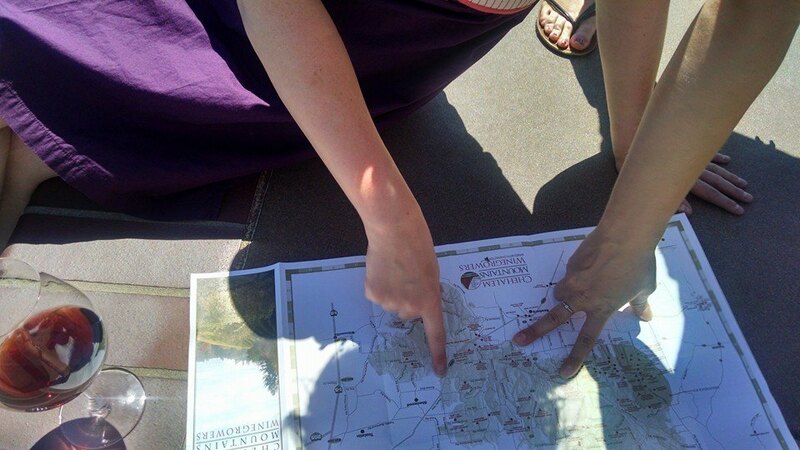 There was also a stop in the orchard region, known affectionately as “fruit loop” at Packer Orchards, where I eagerly devoured Rainer cherries and indulged in an ice cream cone at the urging of a remarkable man I met on the tour. A retired Army officer (and 1960 West Point graduate), John assured me and his grandson, Jessie, that it would be a mistake to pass up the opportunity to try fresh huckleberry ice cream. The next excursion to the countryside was a day exploring Willamette Valley wineries with my extraordinarily generous Portland insider, Sarah. The first vineyard we visited might best be desired as paradise, with an infinity pool. 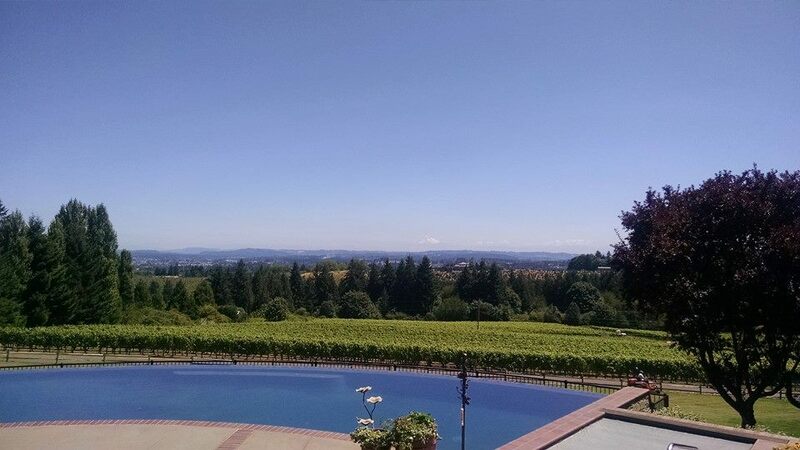 Please go to Blakeslee winery (during the week) and experience what we did—the whole place to ourselves with the tasting room attendant inviting us to dip our feet in the pool, while drinking in the view and a glass of Pinot Noir. Adelsheim winery was the next stop, which boasted superior wine and a tasting room suffused with the scent of flowers. At Adelsheim, we walked out to see new grapes on the vines and admire the surrounding hazelnut trees. The third vineyard was a mistake; take my advice and skip Arborbrook. The last stop in the country was Four Graces, another fabulous tasting, where Sarah scored a good deal on two very good bottles. Back in Portland, we stopped at Enso Urban Winery for a cheese board and one last glass of Pinot. If anyone discovers a way to ensure each and every Friday of my life is one tenth as delightful, I’d love to know. From Portland, I boarded an Amtrak train to a Seattle. . .part 2 of Boho Hobo.